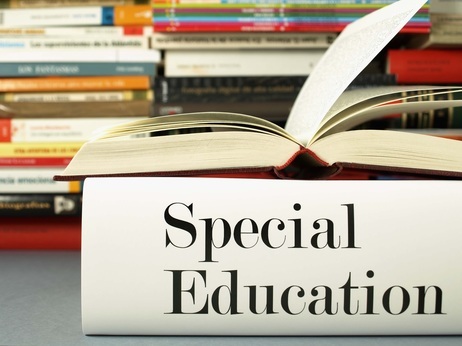 Special education law is not easy to decipher, with several regulations that govern special education services for disabled students. In this article, learn about the core components of the laws, rights, and individual education plans that can help create the best public school environment for your child. If you have a child with special needs, you are no doubt familiar with many of the services and accommodations provided to them by their school. You may also have a clear understanding of some of the laws that guarantee your child the appropriate support services in an educational setting. You are likely also familiar with the time, energy and red tape required to obtain services for your child. It is a complicated process indeed, with many legal underpinnings guiding the development and administration of programs for special needs kids. First passed in 1975 as the Education of Handicapped Children Act, the Individuals with Disabilities Education Act (IDEA), as it stands today, is the result of revisions in 1990, 1997 and 2004. Prior to 1975, children with disabilities were either placed in segregated classrooms in public schools or denied access to public education altogether. A Free and Appropriate Public Education for school-aged children. An Individualized Education Plan for public school students. A consultation with a school professional to determine the level of a disabled child’s needs. Access to early intervention services for infants and toddlers. An Individualized Family Service Plan for infants and toddlers. IDEA provides guidance with regard to the process by which a student is identified as having a disability. 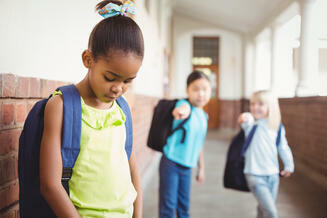 First, a child is identified, usually by referral from school personnel. Parents can also request that their child be evaluated if they suspect a disability is present. Once the child is evaluated, his or her eligibility for services is determined. If the determination is made that the child has a disability, an IEP meeting is scheduled and the document is written. From there, services are provided and annual progress is measured and reported. Provide, at no charge, special education services to qualified students. Provide educational programming in a Least Restrictive Environment (LRE). Schools must offer accommodations to disabled students such that they can participate in regular education classrooms. Develop an Individualized Education Plan (IEP), which outlines the services to be provided to the student. There are some limitations to FAPE, however. Schools are not required to provide services superior to those that students without a disability receive. 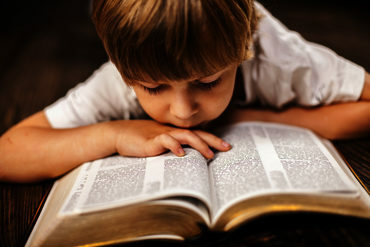 For example, where a public school district might pay for a regular education student to attend a private school in order to have better opportunities, they are not required to pay for private school for a special education student if the services provided in the public school are appropriate. Likewise, schools cannot give preferential treatment to a child with a disability. If there are limited spaces available in a particular class, a special education student has an equal – not greater – chance of getting into that class as his or her regular education peers. Similarly, schools are not required to offer specific programs or accommodations at the request of parents. While parents can make suggestions or ask for specific adjustments to be made, the final decision on special education programming is left to the school district. Statement of Current Performance: Explains how a student is currently doing in school. Testing results, classroom performance, and input from parents, teachers and other service providers are included in the statement. Goals: Includes realistic, measurable goals that the child can accomplish in a given year. Goals may be physical, behavioral, emotional or academic in nature. The IEP must also explain how progress will be measured, as well as how parents will be informed of progress. Special Services: Services for which the student is eligible, such as support services like counseling, as well as classroom-based accommodations. Participation With Nondisabled Students: Explains the extent to which a disabled child will be able to interact with nondisabled students. Testing Requirements: Outlines the accommodations special education students are eligible to receive during standardized testing. Dates and Places: States when special services are to begin and end, where they will be provided, and how often the child will receive services. Transitional Services: Identifies the courses the child needs to take in order to achieve his or her goals after graduation. An explanation of services available for transitioning out of school is included as well. Age of Majority: At least one year before the child reaches the age of majority (which is 18 in most states), the student must be informed of the rights that will transfer to him or her upon reaching the majority age. The IEP team is composed of various parties, including special and regular education teachers, service providers such as speech therapists, school administrators, representatives from transitional services such as Vocational Rehabilitation, parents and the student. Together, the team establishes the criteria outlined above, implement the plan, and review the plan at least once a year. Many parents express confusion about the difference between an IEP and a 504 Plan. Where an IEP outlines the specialized instruction and support services a student is entitled to receive, a 504 Plan merely outlines accommodations that will facilitate a student’s access to and success in the learning environment. Therefore, a student on an IEP may be entitled to special education instruction, speech-language pathology services, and other support services, in addition to specific classroom accommodations such as extra time to complete assignments. A student on a 504 Plan, however, would only be eligible for the extra time to complete assignments and other classroom accommodations. Special education laws can be extremely confusing for parents to decipher. The regulations and requirements are many, and the manner in which they are implemented may be frustrating as well. Staying informed about your child’s rights with regard to IDEA is essential if they are to receive the services they need to achieve their highest potential. Your local school district has a special education coordinator that can answer your questions regarding special education services in your area and at your child’s specific school. Many districts also employ parent liaisons or advocates so parents have all the information and support they need in order to ensure their child has appropriate support services. A Guide to the Individualized Education Program. U.S. Department of Education, 23 Mar 2007. Web. 07 Jan 2015. <http://www2.ed.gov/parents/needs/speced/iepguide/index.html#closer>. Free and Appropriate Public Education for Students With Disabilities: Requirements Under Section 504 of the Rehabilitation Act of 1973. U.S. Department of Education, Aug 2010. Web. 07 Jan 2015. <https://www2.ed.gov/about/offices/list/ocr/docs/edlite-FAPE504.html>. Individuals with Disabilities Education Act. American Psychological Association, 2011. Web. 07 Jan 2015. <http://www.apa.org/about/gr/issues/disability/idea.aspx>. Patino, Erica. Checklist: What Is and Isn’t Covered Under FAPE. Understood, 07 Feb 2014. Web. 07 Jan 2015. <https://www.understood.org/en/school-learning/your-childs-rights/basics-about-childs-rights/checklist-what-is-and-isnt-covered-under-fape>. What is the Difference Between an IEP and a 504 Plan? University of Washington, 24 Jan 2013. Web. 07 Jan 2015. <http://www.washington.edu/doit/Stem/articles?52>.